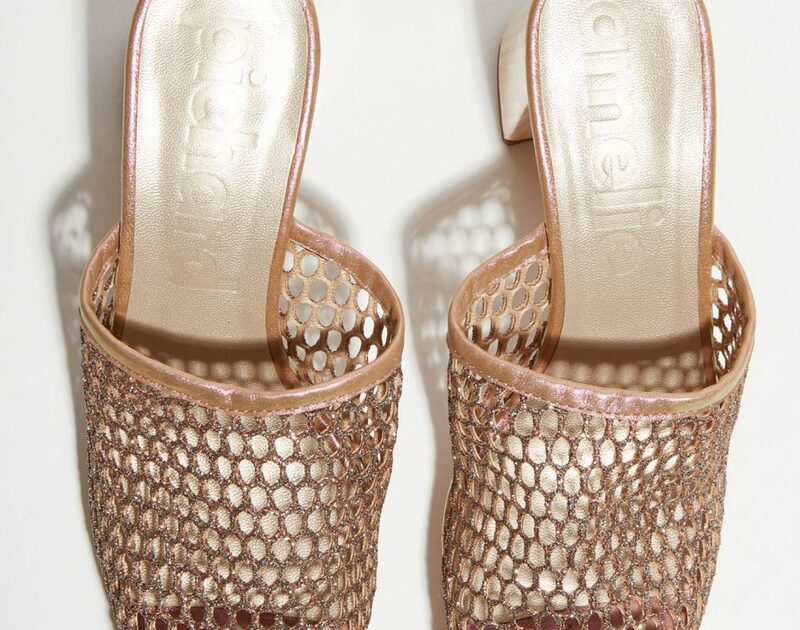 Multicolor glitter mesh open toe mules with iridescent pearly leather insole. 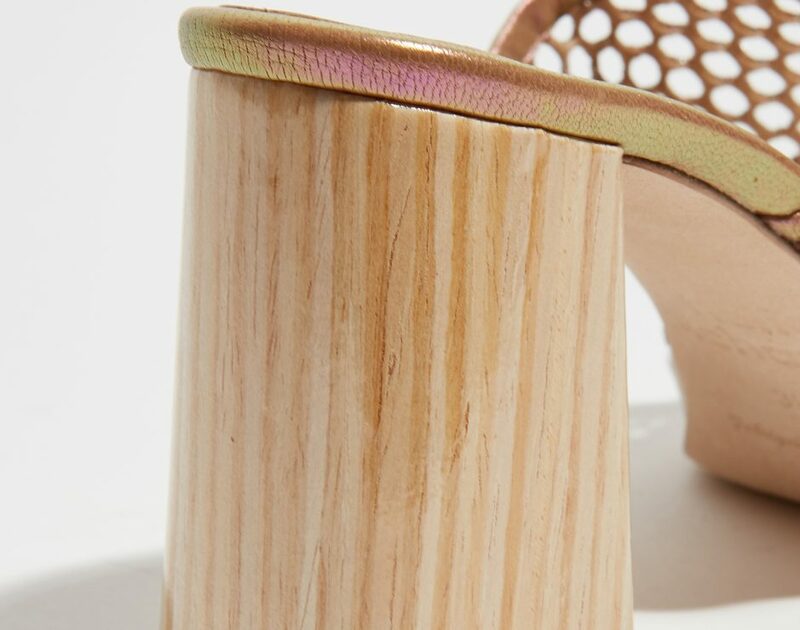 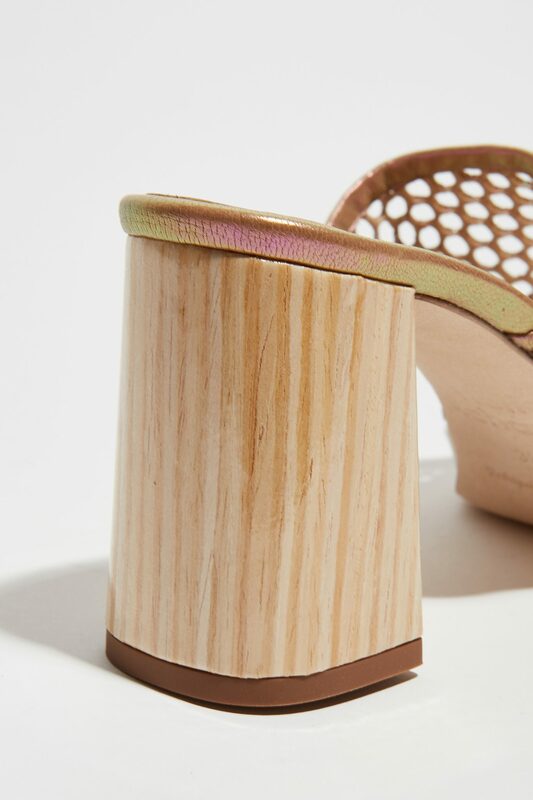 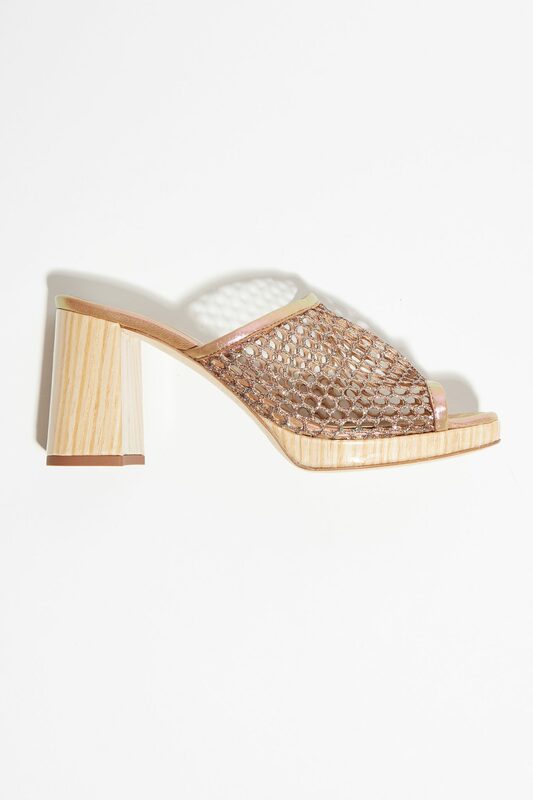 Light pine wood 3.54in covered heel and 0,39in platform. 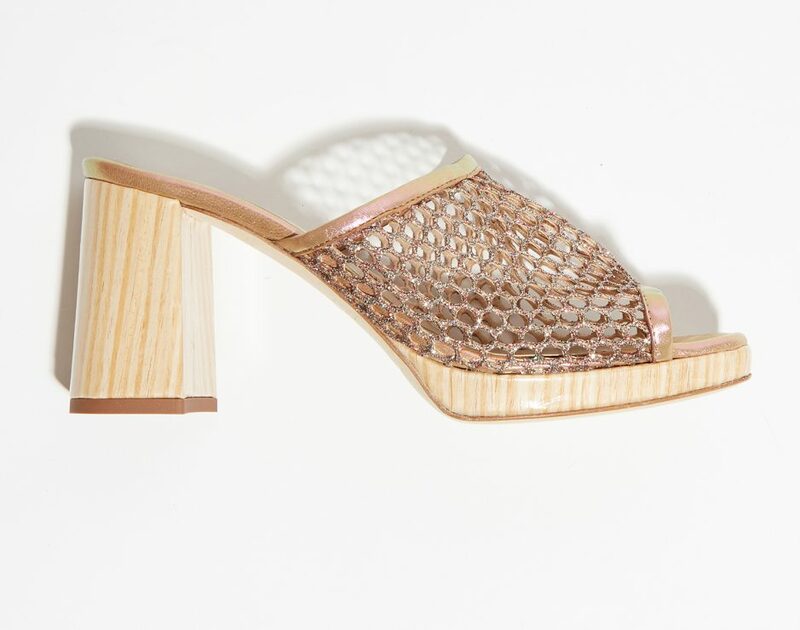 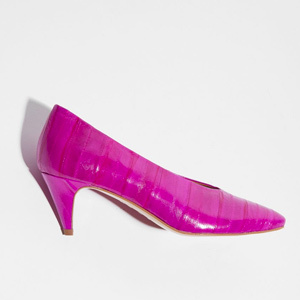 Outside peach skin effect leather sole.